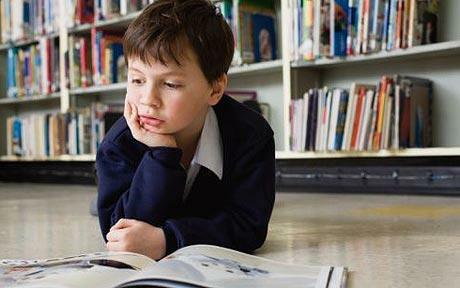 »Books»Is it important children read? You bet it is! Is it important children read? You bet it is! In a modern world, there seem to be so many things for children to do to entertain themselves. There’s the television, computer games, the internet… But what about books? Why are books important for a child’s wellbeing? Books are the key to the imagination. When I was a child, I remember the feeling of being exhausted in school, because I had been reading feverishly through the night. It was like an addiction. The same thing can’t be said of the internet, or computer games – not to the same extent. There’s an entirely different form of entertainment in imagining a character and their surroundings as a child. Not only that, but reading is proven to be good for children. I know that when I was a kid, reading was like an escape from the pointlessness of Maths homework – it was an entire different world. Can the same be said of the internet, television and computer games? Perhaps, but certainly not to the same extent. So the next time your son or daughter asks you to read them a bedtime story, think twice before telling them you’ll stick on a DVD for them. Help them open the pages of their own imaginations through the joys of reading. Reblogged this on The International Educator. Yeah, there’s nothing like reading when you’re a kid. I think that when you’re a child you have this extraordinary ability to become completely absorbed in a book – so absorbed that you don’t even hear people when they speak to you. I miss that feeling! Abortion: Is propaganda being used in Irish schools? The X Factor: Time to Say Goodbye?